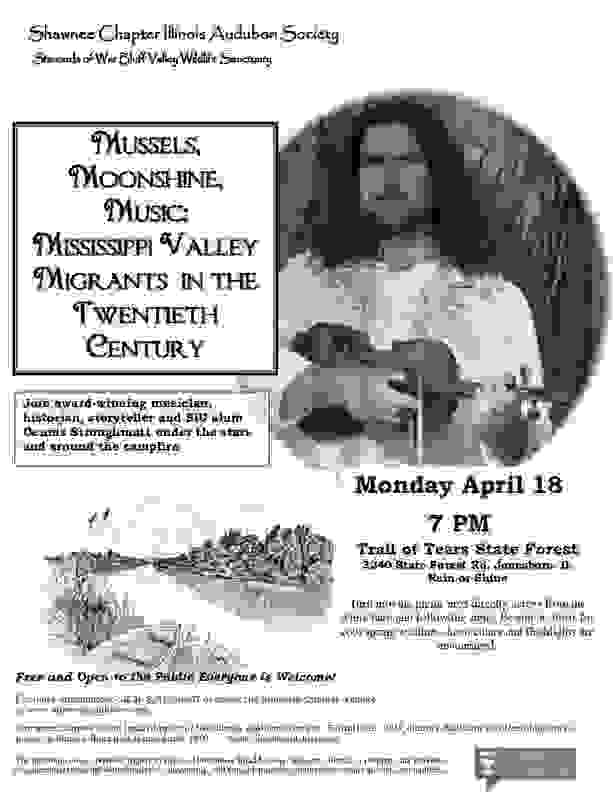 ← MUSSELS, MOONSHINE, MUSIC: MISSISSIPPI VALLEY MIGRANTS IN THE TWENTIETH CENTURY. 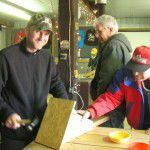 This entry was posted in Presentations and tagged cultural history, illinois audubon society, Mississippi River, Music, presentation, shawnee chapter, southern illinois, storyteller, trail of tears state forest. Bookmark the permalink.